Already have metadata in your files? You can map IPTC fields from Lightroom, Bridge, Photoshop to editable fields in Image Relay. 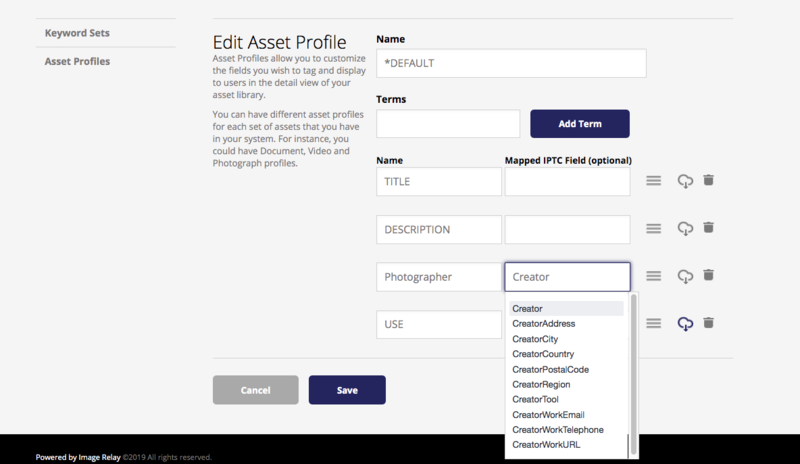 You can map an asset's embedded IPTC information to an editable metadata field in your library's assets. This option surfaces relevant info aesthetically at the Details level. Go to Admin in the top navigation bar. Click Keywording/Asset Profiles and locate the profile you would like to update. There, you can fill out the Mapped IPTC Field info so that it corresponds to the desired Image Relay field. Now, when files are uploaded, the searchable embedded information will be automatically applied to the visible fields of the asset in the Details view, without any additional data entry required. 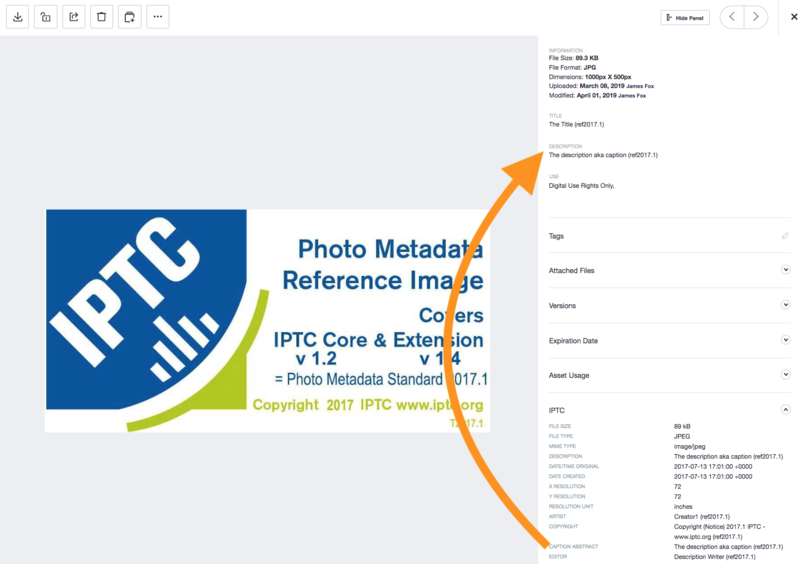 Image Relay uses the IPTC metadata standard to map embedded metadata to fields.